I call upon the power of CHANEL's CC logo, activate!! 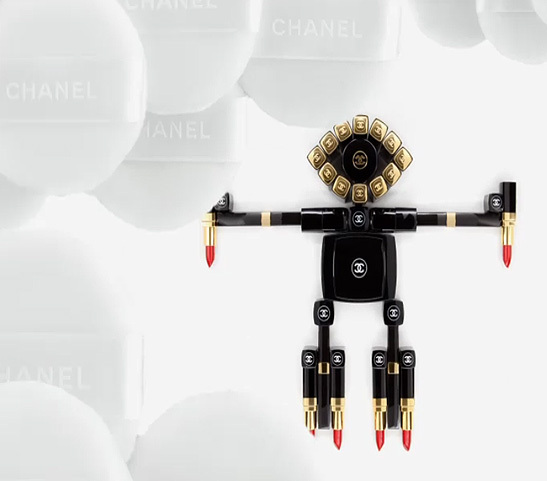 Chanel's global creative director of Makeup division Peter Philips has came up with this innovated Ad Campaign, conceptualize this stop motion video built from a bunch of lipsticks, compacts, glosses & brushes... it's just genius! 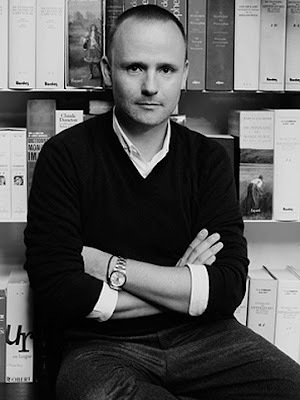 Peter Philips is a Belgian makeup artist and his current job as the global creative director for CHANEL makeup, a position described by Vogue magazine as the "Most coveted job in cosmetics". Philips' love of fashion and photography began when he was young. 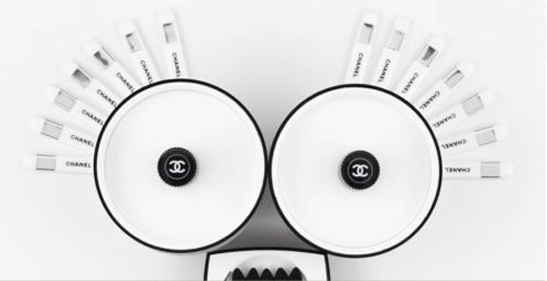 He studied graphic design, then moved to Antwerp's Academie Royale des Beaux-Arts. After being inspired by observing Paris Fashion Week backstage, Philips began working as a makeup artist. He became known for his use of unusual materials; at times, he incorporated feathers, pearls, and fabrics into his looks. I don't know about you, but after watching this fun video by Peter Philip, I have this sudden urge to run to Neiman Marcus to get myself some CHANEL beauty products! 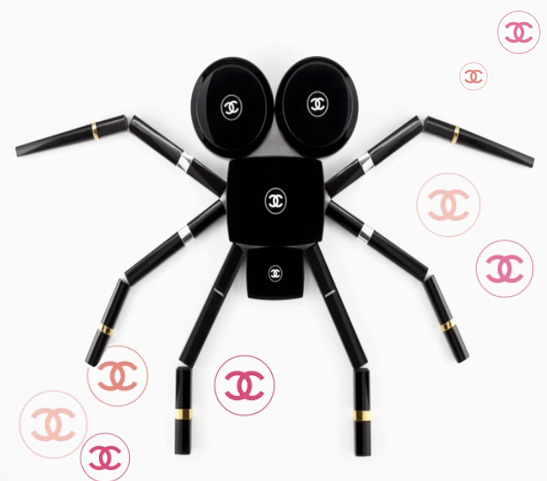 haha or you can visit Chanel Beauté official website.